The town of Coventry, located in Tolland County, is the home of Lake Wangumbaug, also known as Coventry Lake, the largest lake in northeastern Connecticut. Incorporated in 1712, the land was sold to Hartford men by the Native American sachem Joshua. A farming community, the town also took advantage of its three rivers and numerous streams to develop industrial manufacturing industries. The items produced varied but included glass flasks, cardboard boxes, and textiles. 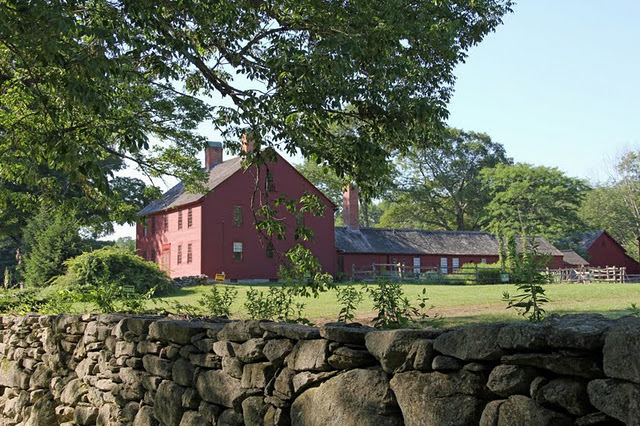 Today, Coventry is best known as the birthplace of Captain Nathan Hale and is home to the Nathan Hale Homestead; a museum currently open to the public. “Coventry Historical Society,” 2016. Link. “Hop River State Park Trail.” Department of Energy & Environmental Protection, 2017. Link. “Nathan Hale Homestead.” Connecticut Landmarks, 2016. Link. “Nathan Hale State Forest.” Department of Energy & Environmental Protection, 2016. Link. “Strong Porter Museum.” Coventry Historical Society, 2016. Link. “The Museum of Connecticut Glass,” 2016. Link. Commemorative Biographical Record of Tolland and Windham Counties, Connecticut: Containing Biographical Sketches of Prominent and Representative Citizens and of Many of the Early Settled Families. Chicago, IL: J.H. Beers & Co., 1903. Link. Coventry Village Improvement Society. Coventry. Charleston, SC: Arcadia, 2003. Messier, Betty, and Janet Sutherland Aronson. The Roots of Coventry, Connecticut. Coventry, CT: 275th Anniversary Committee, 1987.